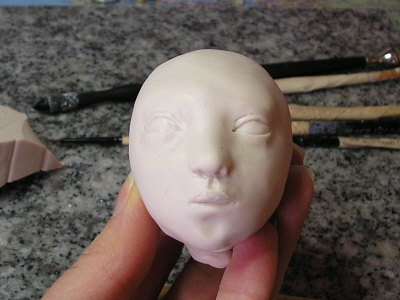 Today I started to sculpt new face in polymer clay, which then I will mold and make a new doll. 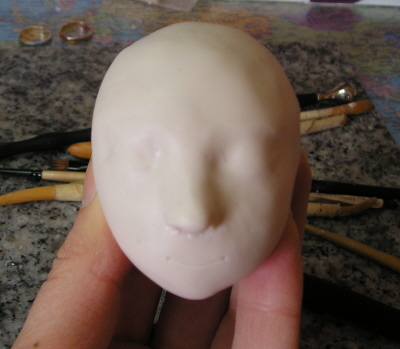 So I decided to take a few pictures to show how I sculpt my faces. 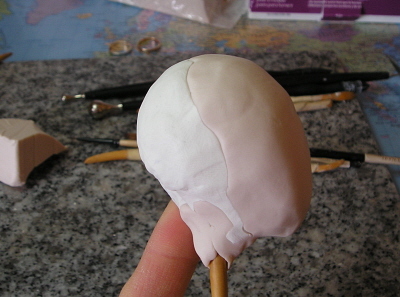 At this point I don't bother with the back of the head, I will do it in the end, or sometimes even after I bake the face. I poke the holes where the eyes will be and now is when I see the little white clay underneath so I know where to stop. 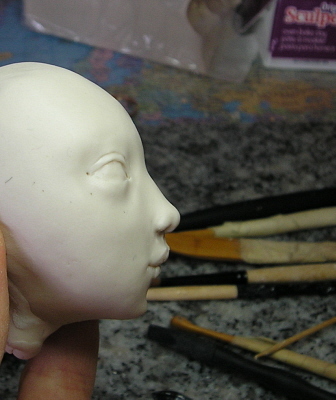 At this point I need to put her aside, the clay is too warm from my hands and makes it difficult to handle, I will let it cool down for a few hours, then will shape the features some more and add ears. 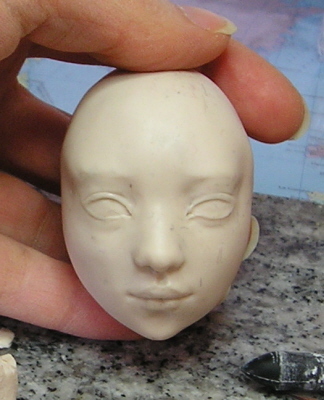 After that I will bake it and will make a mold, so you will be seeing this girl in the future :). 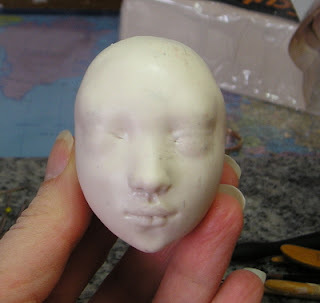 This is how the faces on my girls come to life, I love sculpting them, and for some reason they do always come out different from each other. 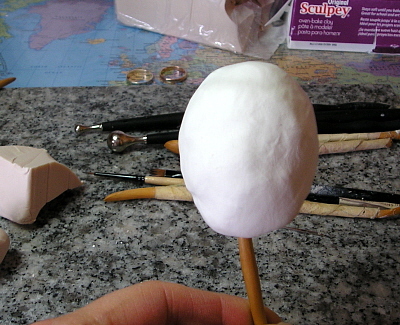 It is of course not a "must do", it's just the way I find more comfortable for me. 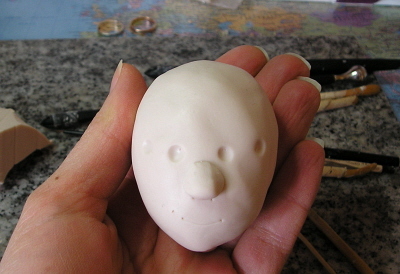 I hope you enjoyed it :). 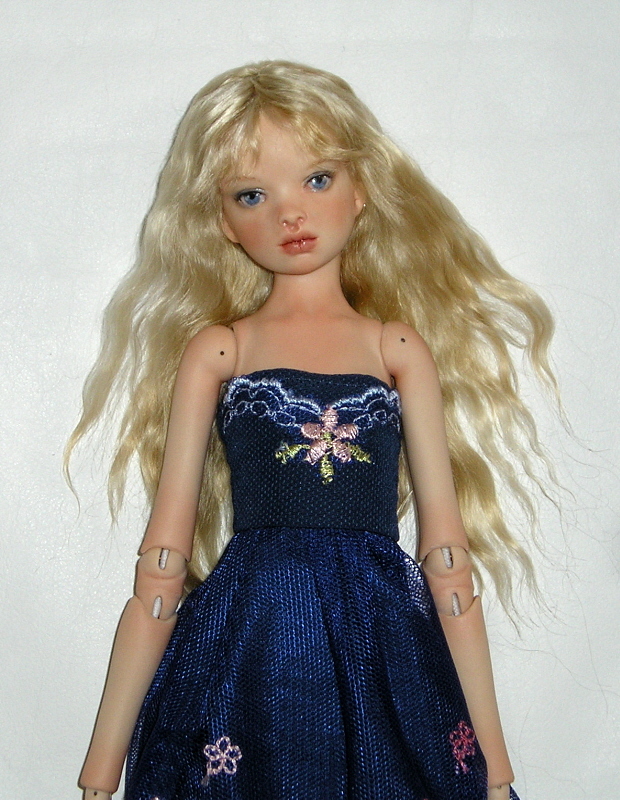 I've listed Adriana on eBay, here is her auction! 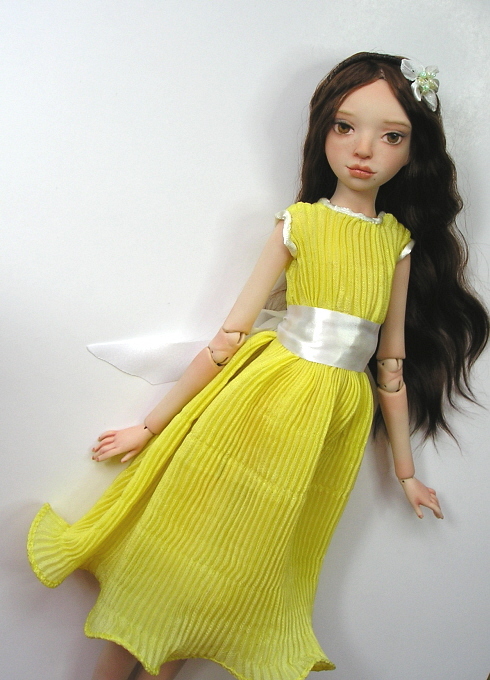 So here is Adriana, she has a dark red hair wig and lovely yellow dress, shoes I made in fabric. I will list her on eBay Sunday evening for 7 days. 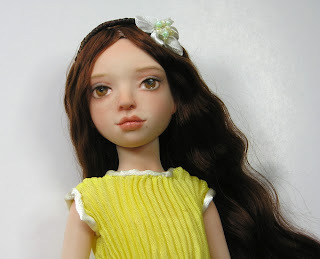 10.5 and 12.5 inch dolls together. 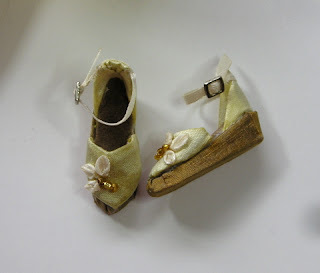 Only two inches difference but she looks so much smaller, I forgot how delicate they were when I first started making them a few years ago. 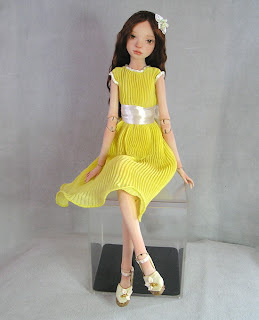 She is a commission order and it was nice making her. 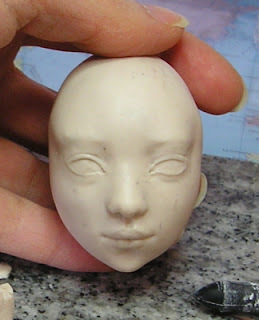 My new girl will be a red head actually, I will be making her wig next week as well as her dress. 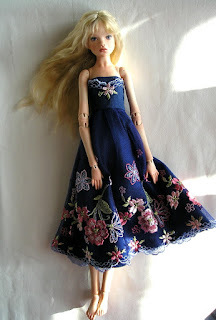 Is she adorable or what? 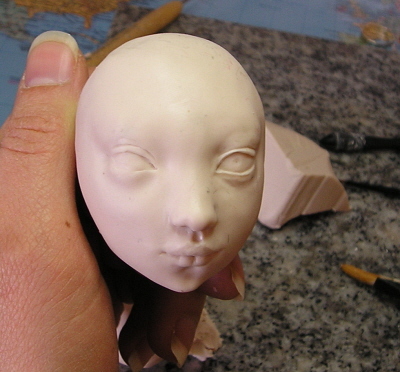 :)... she already has a new mommy and is getting ready to go to her new home. I am also working on a commission doll, the girl from my very first mold, I will share some pictures when she is done. 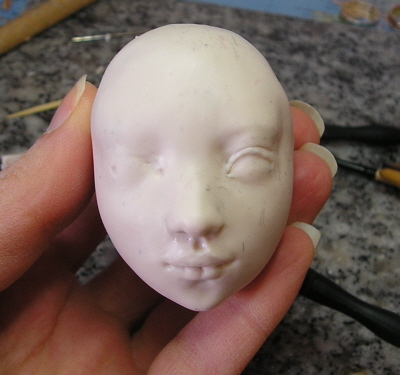 Also a girl with new face mold coming up very soon, as you can see I am quite busy lately.